Welcome to Bush Prairie Farm. We are a Community Supported Agriculture (CSA) farm which means that we partner with you to grow delicious food for you to enjoy. Subscribers agree to pay upfront for the food they will receive allowing the farmer to use those funds to produce the food. In looking for land to farm, our first consideration was being close to a neighborhood - to become the neighborhood farm. We are starting our 9th year of serving the Bridlewood, Deschutes Ridge, Parkridge, and Bush Prairie neighborhoods in Tumwater. Other loyal customers come from our church, co-workers, and friends who enjoy fresh vegetables and a sense of community in the farm. 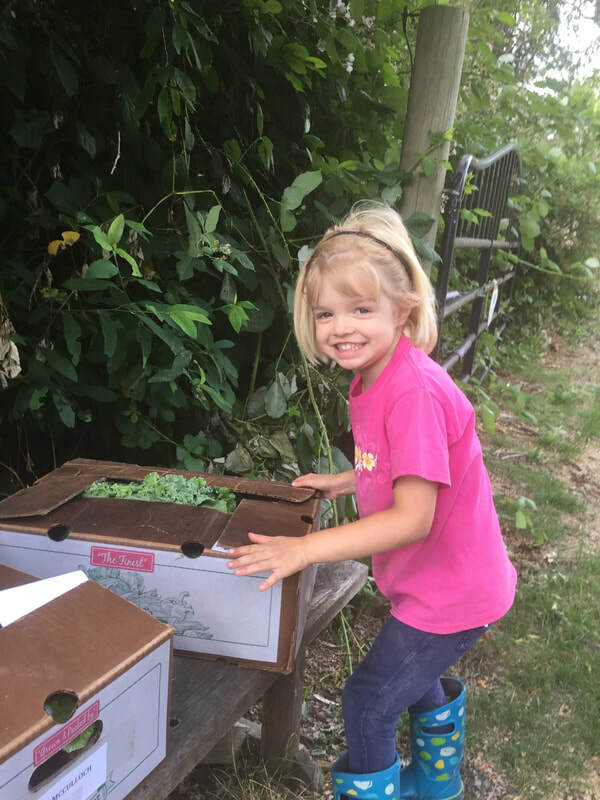 Our 2019 CSA Subscription Sign-Up has begun. Go to the CSA tab for more information.